According to http://www.punchng.com, a former Minister of Petroleum Resources, Prof. Tam David-West, on Tuesday described Nigeria as a failed state. 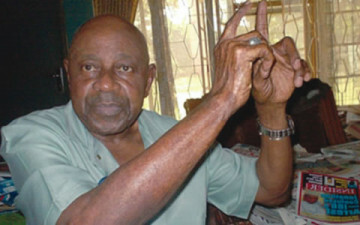 David-West, at a news conference in Port Harcourt, Rivers State, said that any government that could not protect its citizens was a failed government. The professor of virology expressed his support for Governor Rotimi Amaechi and any party that would bring light over the country’s current darkness. “I stand for a government that knows that 19 is bigger than 16. I stand for a party that I know will bring light to the darkness in Nigeria. I stand for a party of people of substance both in words and in character,” he said.